Stephen King wrote: "Reading a good novel is in many ways like having a long and satisfying affair, but a short story is a different thing altogether—a short story is like a kiss in the dark from a stranger”. 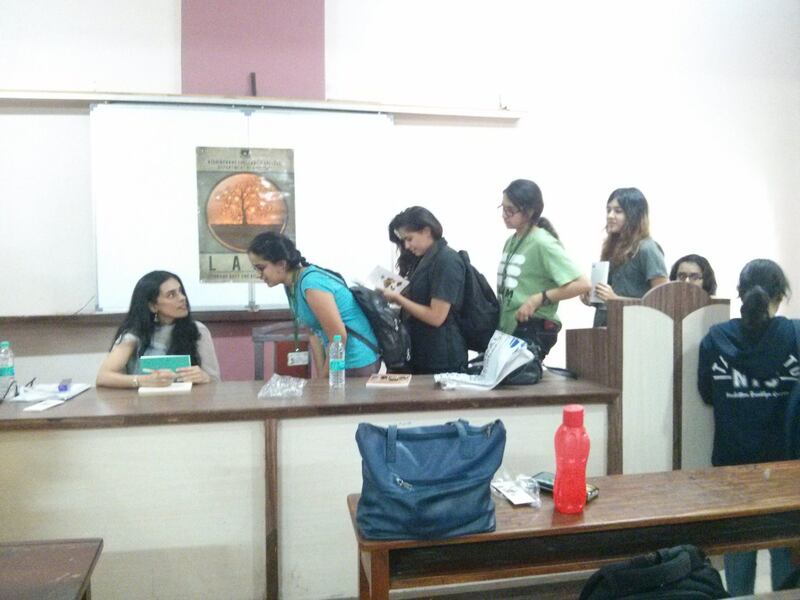 Hence the title of our discussion panel, "Kisses in the Dark"! 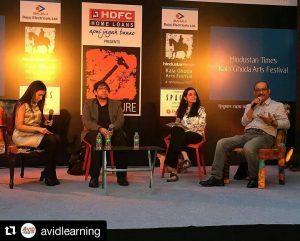 Thank you to my co-panellists Sharon Irani and Arun Kale of Helter Skelter magazine, and poet Hemant Divate, for a thought-provoking discussion on short story and poetry publishing in India. View the discussion on ﻿Youtube. 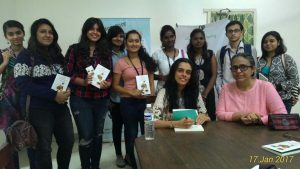 Really enjoyed meeting the students of KC College, Mumbai, where I did a reading of These Circuses That Sweep Through the Landscape. 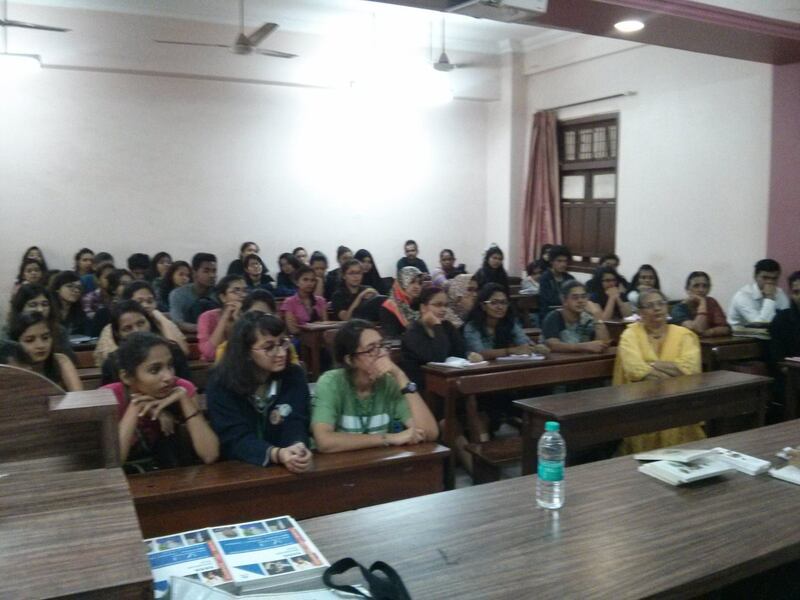 Thank you to the students and faculty for interesting questions and a great discussion! 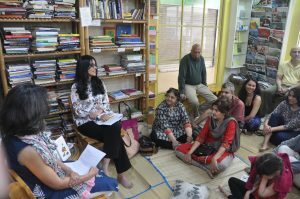 And thank you to Tata Literature Live's 360@Campus initiative for setting this up - a truly wonderful opportunity for authors and students to interact. 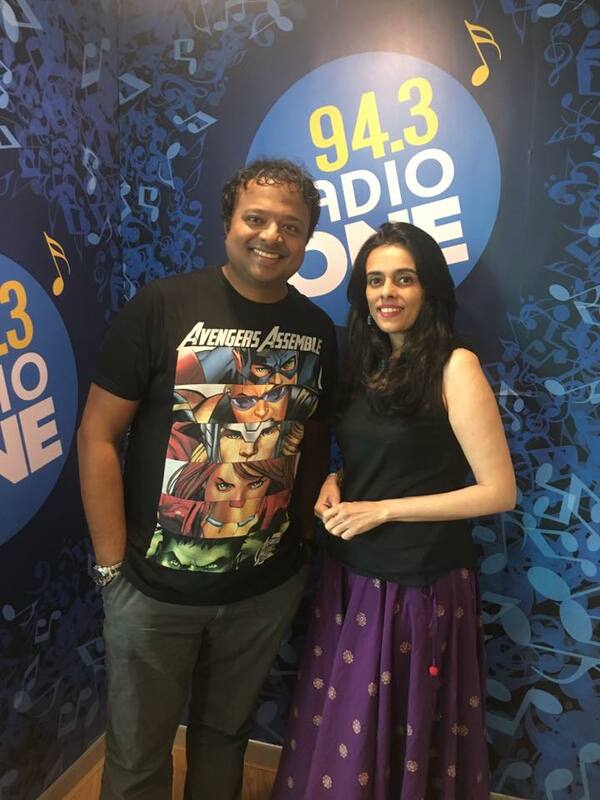 A fun morning with the very affable Hrishi K interviewing me on live radio for his Good Morning Mumbai show. 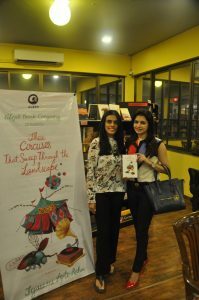 We chatted about my short story collection These Circuses That Sweep Through the Landscape and my writing journey. Great to know that he enjoyed the book, and that one of his favourite stories was The Girl Who Loved Dean Martin (one of my favourites too!) 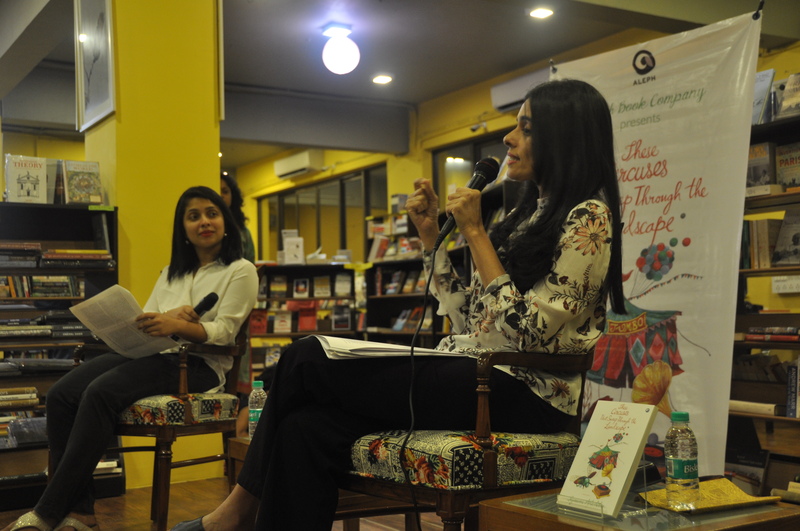 We also talked about some of the other stories like Cotton, Mili and the title story. 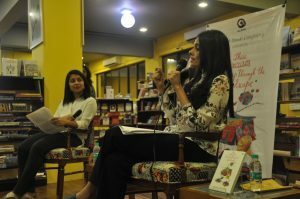 We chatted about the various countries I've lived in - and of course about Mumbai and London - the two cities I love and which feature in this story collection. 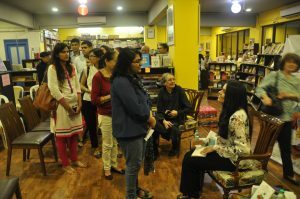 The launch of my short story collection at Trilogy Bookshop in Mumbai was a great success and a lot of fun. The stories I read from were The Mall - which has proved to be particularly appealing to audiences and readers - and from The Girl Who Loved Dean Martin, also a popular choice which generates a lot of discussion. And I signed off with a cliff hanger from the title story. 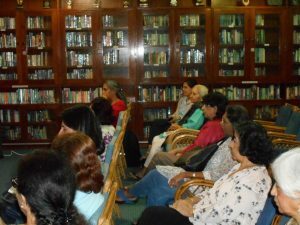 The audience was fabulous - engaged and engaging - and came up with loads of interesting questions on the stories and on my journey as a writer. 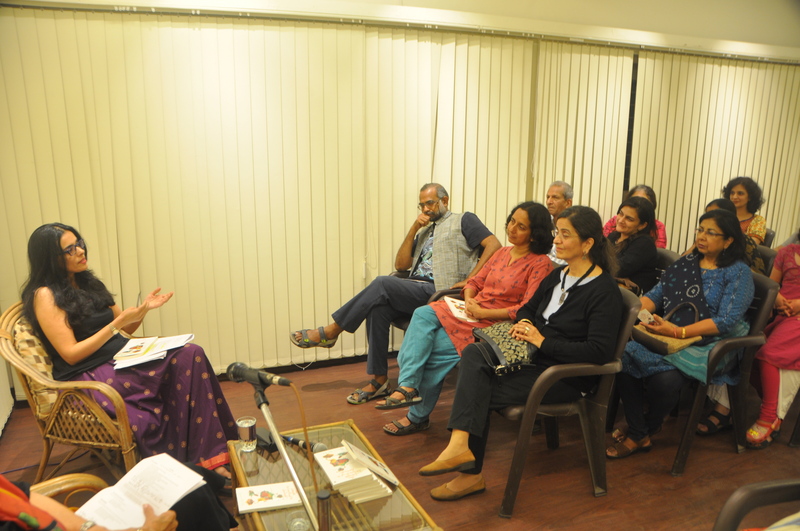 Also some enthusiastic suggestions - such as turning the stories into an audio-book, theatre monologues or a web series! 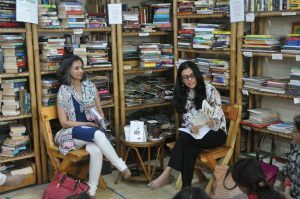 A big thank you to Dhanwanti Lad for moderating the discussion with panache, and to Trilogy Bookshop and Aleph Book Company for arranging everything so beautifully! The book reading at the Sophia College in Mumbai was a lively affair with the students asking some extremely interesting questions on the story collection as well as on the writing process - there were quite a few aspiring writers in the room and it was a pleasure to be able to share my experiences of writing and publication with them. 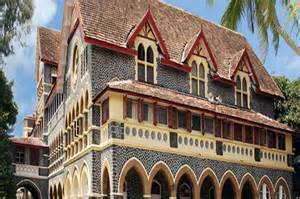 And I couldn't have asked for a more beautiful, tranquil setting! 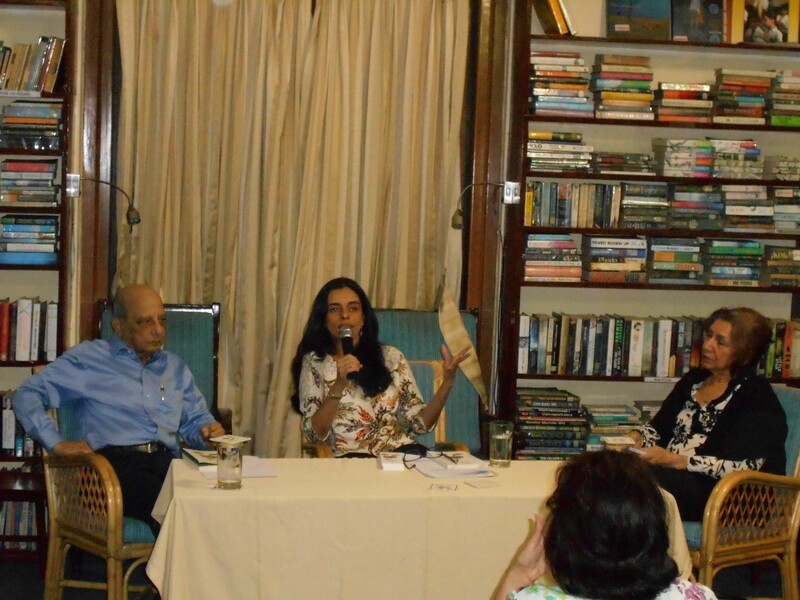 The Bombay Gymkhana book club hosted a reading and discussion of These Circuses That Sweep Through the Landscape. 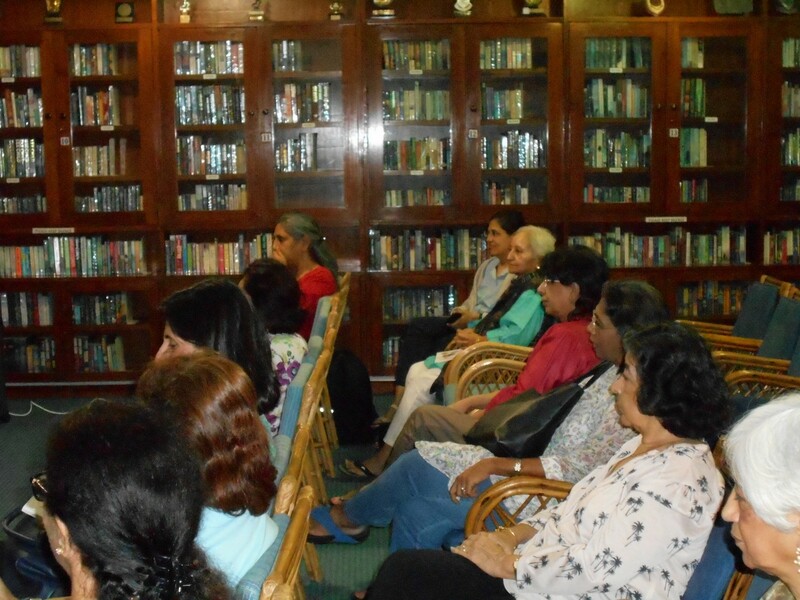 It was a lively session with plenty of interesting questions and comments from the Gymkhana members. 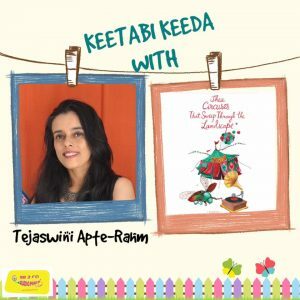 A fun interview on Radio Mirchi's Kitabi Keeda show where I talked about These Circuses That Sweep Through the Landscape, the inspiration behind the short stories and the process of writing them. 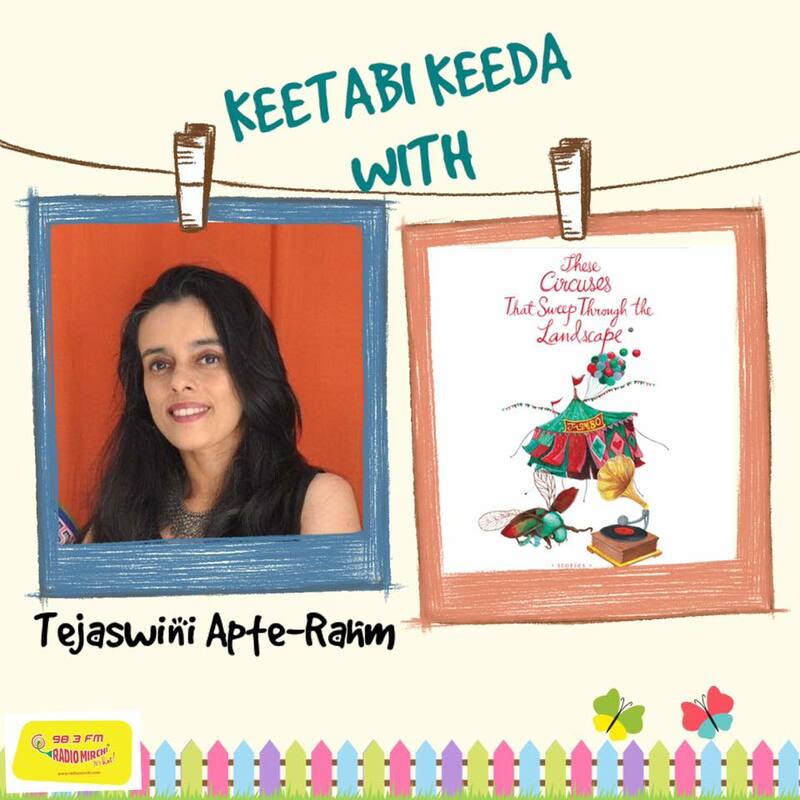 Kitabi Keeda is broadcast every Saturday in Pune, Nagpur, Aurangabad, Surat, Indore, Bhopal and Nashik. 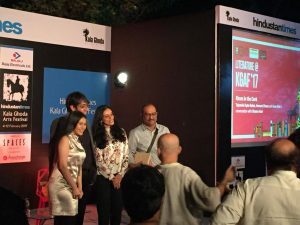 I was especially happy to be on Kitabi Keeda because the show aims to encourage students and young people to discover the joy of reading! A few snippets of the radio show. 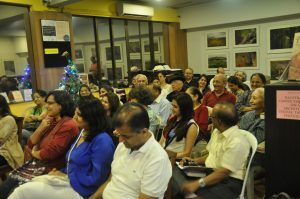 I read from my story collection These Circuses That Sweep Through the Landscape at Gyaan Adab Centre, a hub for literature and culture in Pune on 16 December. 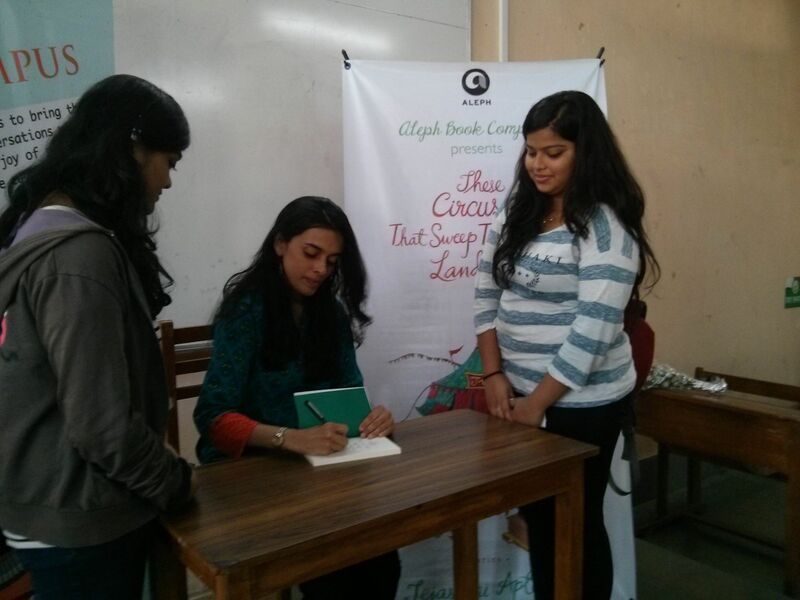 Puffin author Leela Gour Broome moderated the lively Q&A session with the audience. 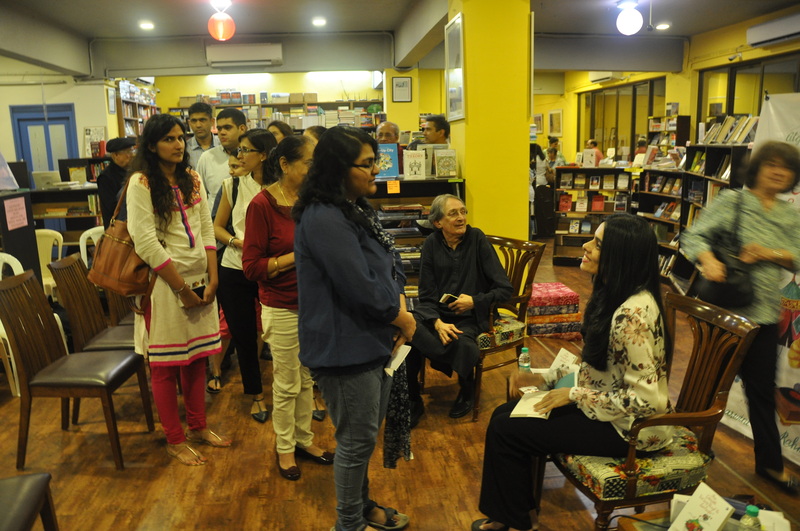 Click here for dates of my next readings. 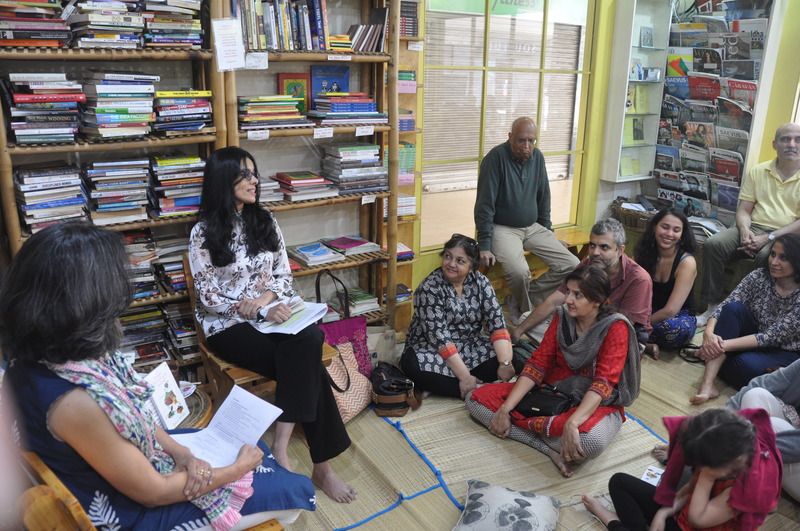 I had my first reading from my collection of stories at Pagdandi Books Chai Café in Baner, Pune. 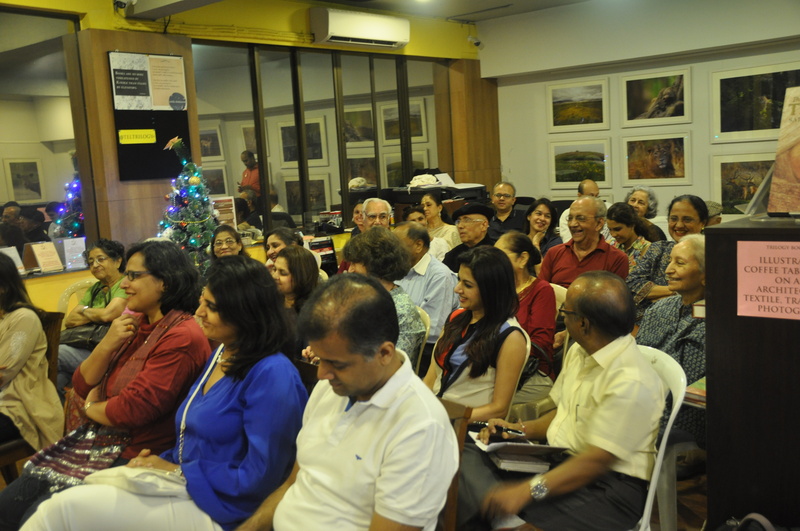 A lovely place with a very warm atmosphere - the perfect venue to commence a series of readings in Pune and Bombay. 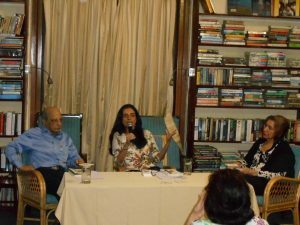 Book-clubber Varsha Chitale moderated the audience interaction, which was very lively with many extremely interesting questions and comments - including some personal experiences from audience members in relation to one of my stories titled The Mall! 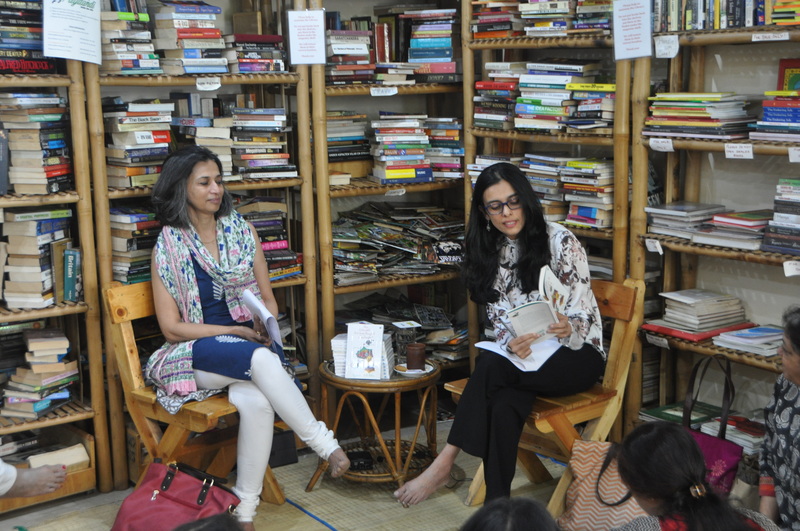 For those interested in joining me at one of my upcoming readings, please click here. And those of you in Pune who do not know Pagdandi yet, go for a cup of chai and a good read, and pick up a signed copy of my book! 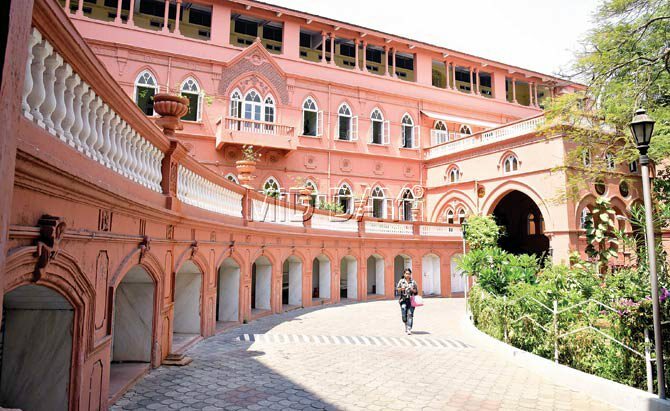 Whenever I passed the Wilson College in Mumbai, I would wish I could enter this gorgeous sea-facing building. 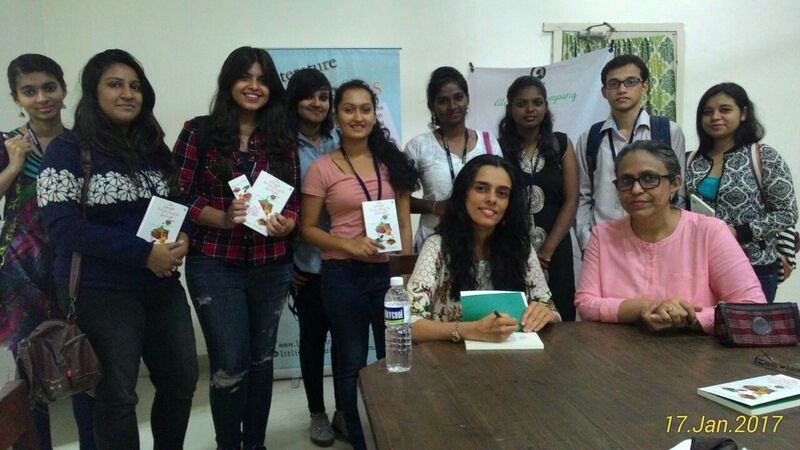 Well, my wish finally came true - I had a wonderful interaction with students here - with some pretty intense discussion on the process of writing! 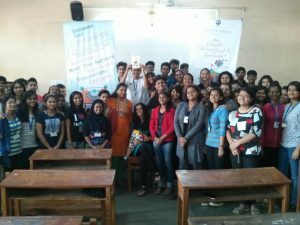 Thanks once again to Tata Lit Live's 360@Campus initiative for this reading of These Circuses That Sweep Through the Landscape. 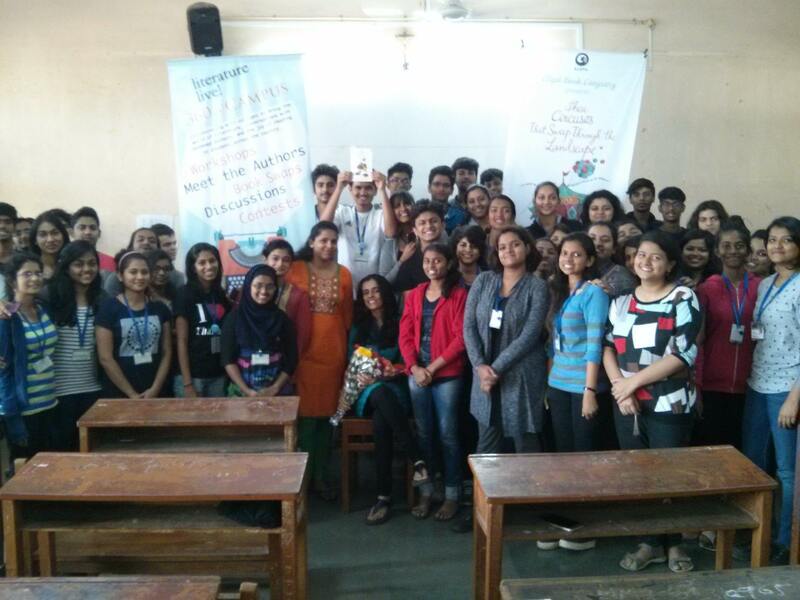 An enthusiastic bunch of students at the St Andrew's College in Mumbai. Really enjoyed interacting with them. They had already read the stories "Cotton" and "Sandalwood" in class, so the discussion and their questions were great! 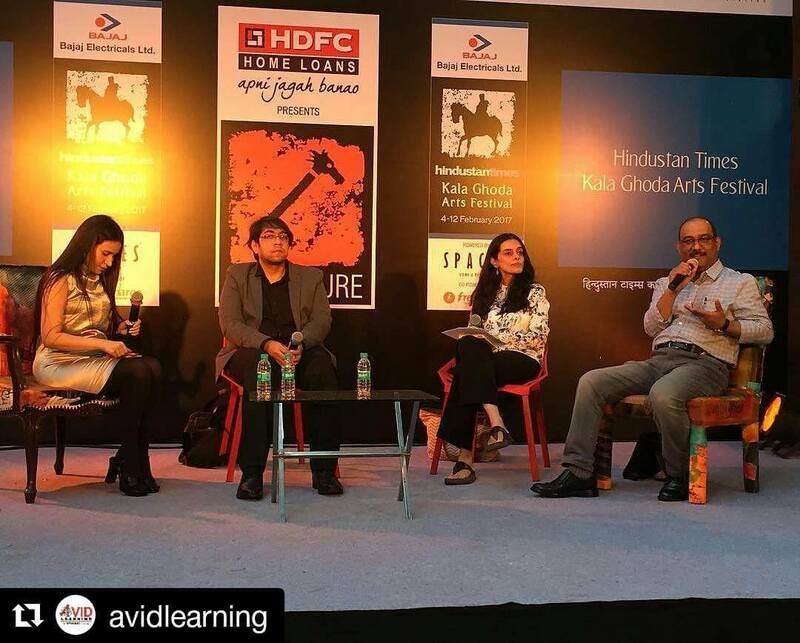 Thank you to the Tata Literature Live 360@Campus initiative for setting up this reading of These Circuses That Sweep Through the Landscape.